Engineering Agricultural and Medical Common Entrance Test referred as EAMCET. It was the state level entrance examination in Andhra Pradesh before separation of Telangana. It was regulated by Jawaharlal Nehru Technological University (JNTU), Kakinada. This exam was considered by various colleges of Andhra Pradesh and Telangana for admission in engineering, agriculture, pharmacy and other UG courses. Now, from the year 2016, the examination has been held separately for Telangana Engineering Agricultural and Medical Common Entrance Test (TS EAMCET) and Andhra Pradesh Engineering Agricultural and Medical Common Entrance Test (AP EAMCET). Application Form will be released from the first week of February and available till third week of March. There is not any offline application mode will be available for this exam. Any correction in the application form can be made between first week of April to Second week of April. To apply for the examination visit AP EAMCET official website. The entrance exam will be held on the first week of May. That will be an offline (pen and paper based) test. The engineering exam will be conducted between 10 AM to 01 PM and agricultural exam will be held between 2:30 PM to 5:30 PM. The duration of the both examinations will be of 3 hours. The question paper will be an objective type. Each question will carry one mark. The question will be asked in English & Telugu language. No negative marking will be prescribed. The syllabus will be composed of four subjects like Mathematics, Physics, Chemistry and Biology (Zoology & Botany). Set of three subjects will be prescribed for engineering (Mathematics, Physics, and Chemistry) and agriculture (Biology, Physics, and Chemistry) streams. Candidates can download the AP EAMCET Hall Ticket from the official site. The admit card will be available from the last week of April. Candidates can get their hall ticket by entering their registration number, qualifying exam hall ticket number and date of birth. Candidates are required to come with the filled application form and hall ticket at the exam centre. Result will be published on the official website. It will be released in the last week of May. Candidates can require entering their hall ticket number to check their results. On the basis of the marks obtained by the candidate in the entrance exam, the merit list will be prepared. Candidate can download the merit list from the official portal. On the basis of the merit list, candidates will be called for the counselling process. 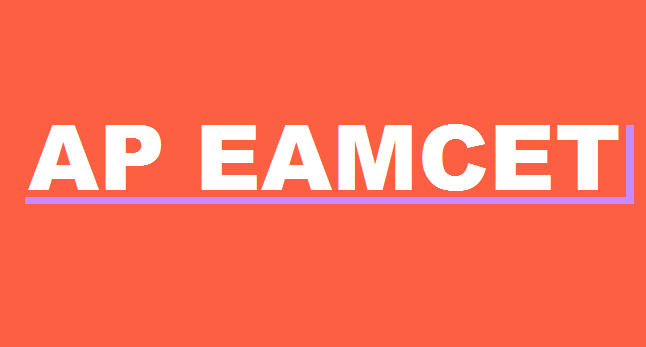 At the time of online application submission process, candidate will be required to choose the EAMCET 2019 Help Line centre (HLC) for their choice. These HLC is for document verification/verification of certificate and online options entry for EAMCET Counselling for Admission into Professional programmes. If the candidate is selected for the counselling process, they are going to their choice HLC centre for counselling and admission process. Candidates who want to get admission in B .Arch programme, they will get admission through NATA .